Hello Guys, I hope your Trading is going good. I thank you all for such a huge response to this weekly analysis post. 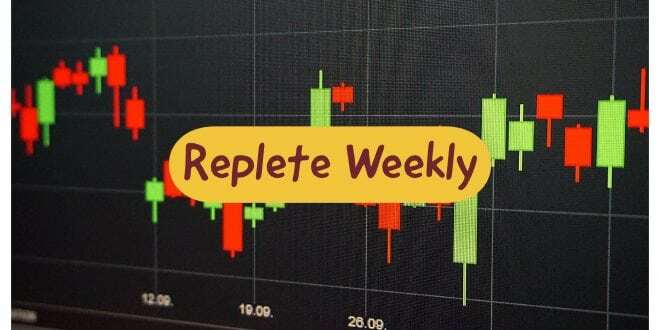 In this weekly analysis post, we are trying to analyse Nifty and Banknifty based on technical analysis and sharing some Option strategies for the coming week. As we are Option writers, so theta is our primary geek. On the other hand, Volatility is also playing a major in option premium and as we are in our General Election month, Volatility is very high. India VIX is trading near 21 which is playing a caution button for Option Writers. So nowadays, a vega neutral or vega long strategy is preferable. 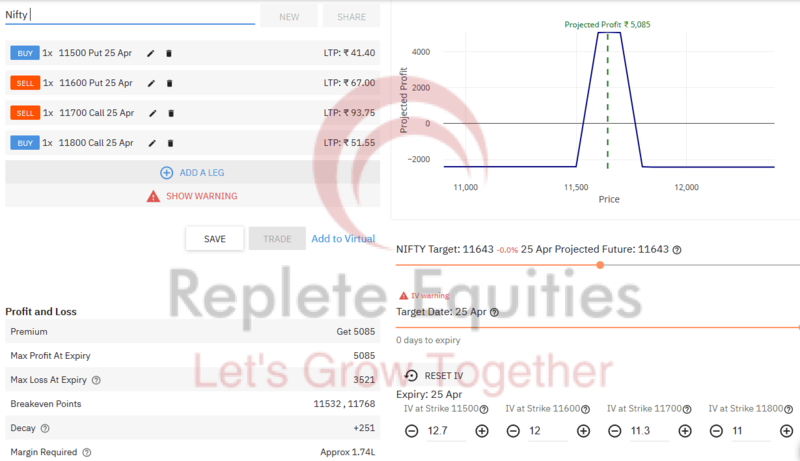 Last week we made an Iron Condor in BankNifty which is a vega neutral strategy, closed with some decent return of around 2%. Another strategy we can keep in focus is Calender Spread, Which is a Vega Long Strategy. 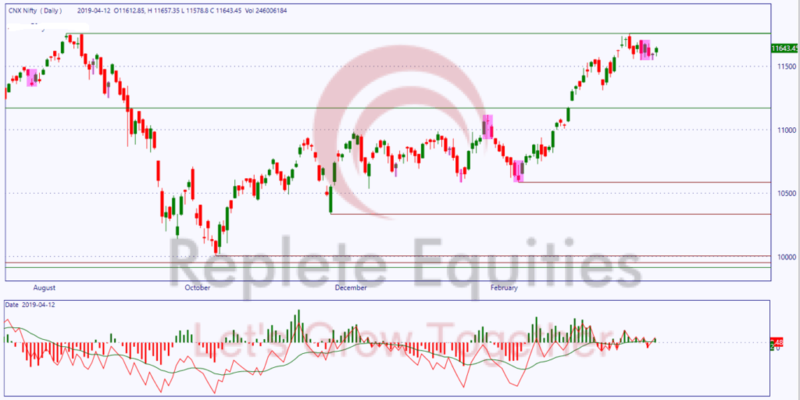 Last week we saw, Nifty is facing some resistance around it’s all-time High at 11760. On Monday we saw a good movement of around 160 points in Nifty. Rest whole week Nifty was trading in that 160 point range only. This weekly range of 11710-11549 is very important. Breakout or breakdown will lead to further levels. If we look at the chart We find that on Friday Nifty made a Morning Doji star-like the pattern, Which is a very strong bullish pattern. Now 11710 will act as a strong resistance level for this week, if nifty manage to give a breakout from this level, we can initiate a new long position in Nifty. Overall Trend is UP, Momentum is slightly week, but it’s neutral after a good one-sided movement in Index we can expect slightly profit booking at the higher level which is draging index to little lower levels. Based on Weekly Option Chain data, Highest Open stands at 11700 CE and 11600 PE followed by 12000 CE & 11500 PE. PCR stands at 0.99 which is a neutral zone. Equally important indicator, option pain stands at 11600. so we can expect this weekly expiry around 11600 levels if Option pain will remain at 11600. Change in Option pain will shift our expiry levels too. This week 17th and 19th will be the holidays, so theta decay will be high on Monday and Tuesday. In the coming week where India VIX is trading near 21, we can consider Calender spread (Vega Long) strategy, But as volatility is already high, so slightly decrease in Volatility will create a problem for our strategy. So I thing a vega neutral strategy will be good for this week. Breakeven Points – 11532 & 11768, so a loss will start beyond these levels. Possible Adjustments: Breakout at 11768, Shift Put spread to 100 Point higher levels. a breakdown at 11532, Shift Call Spread to 100 points lower levels and make it IRON BUTTERFLY. Book profit whenever you are getting 1.5-2% return. This week we saw Most of the time BankNifty consolidate in a range only. 29655.35 acting as strong support levels, which need to break for further downside levels. Breakdown can lead to 29041 & 28544 levels. We saw some buying on Friday which is giving a positive signal on charts. 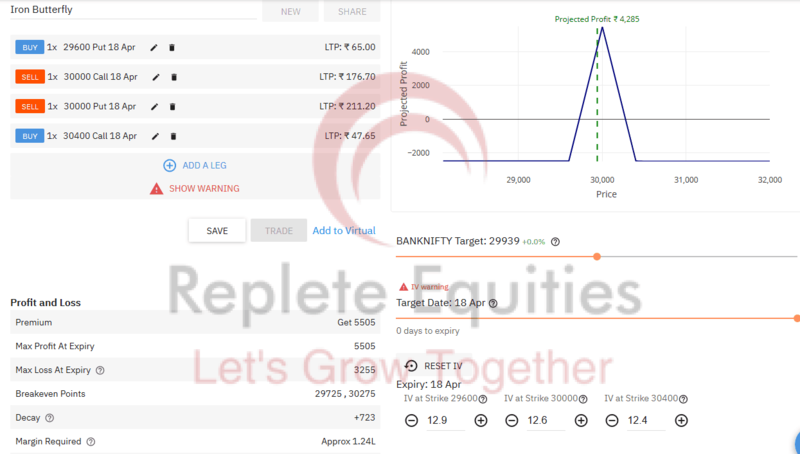 If on Monday banknifty manage to sustain above Friday’s high then it will be a good entry level for a long position with good risk: reward ratio. Stop loss should be slightly below at 29655. Over all Trend is UP and there is no sign of weakness. Based on Weekly Option Chain Data, highest open Interest stands at 30000 CE & 29500 PE followed by 30500CE & 29800 PE. PCR of all strokes stands at 0.96, which is a neutral zone. PCR at 30000 CE stands at 0.56, which is acting as a short term resistance level. On the lower side, PCR at 29800 Stands at 3.84, which is acting a short term support level. Option pain Stands at 30000 level, which is expecting Expiry level. a shift in Option pain will decide further move. 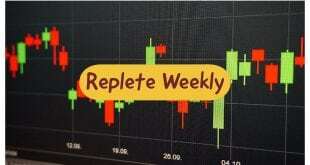 So this week Trading range is 29800-30500 based on current data available.